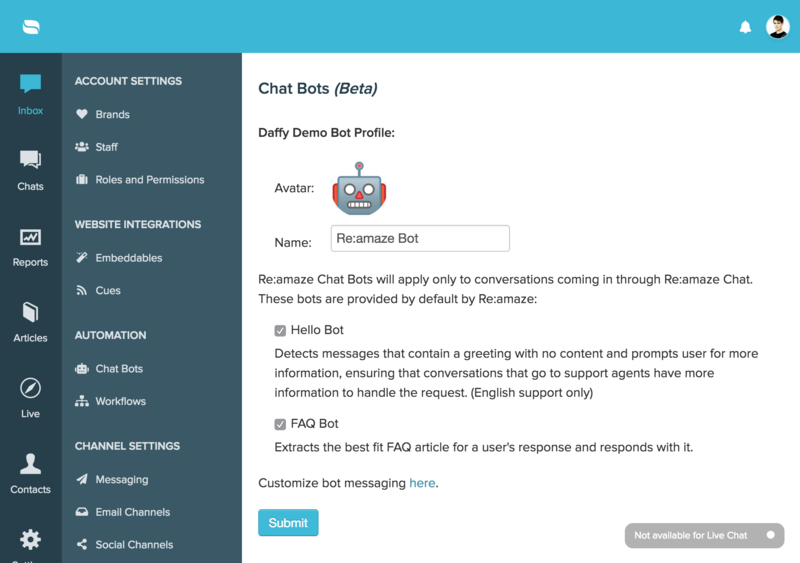 You can enable Re:amaze Chatbots Beta to help with frontline customer service. 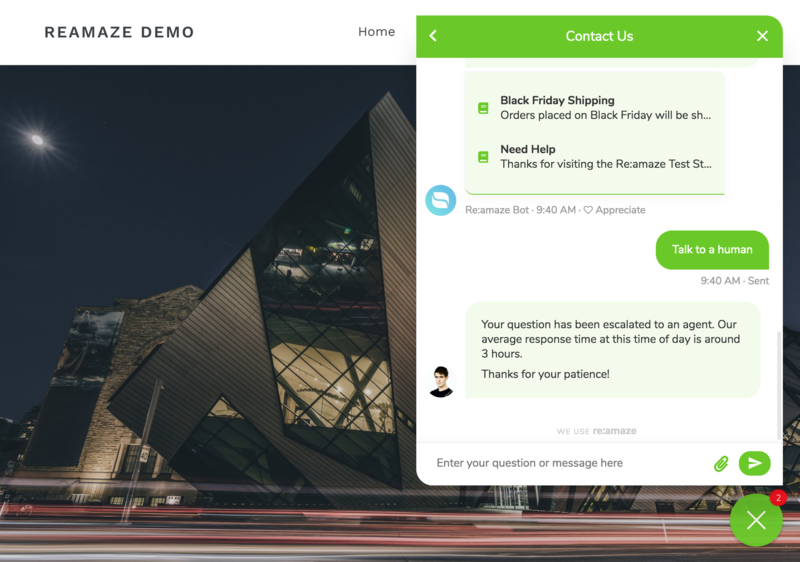 Chatbots are great not only for customer service in just about every industry but it’s especially great for eCommerce. Chatbots can help with common customer frustrations and can get simple things answered quickly or retrieve relevant FAQ articles. 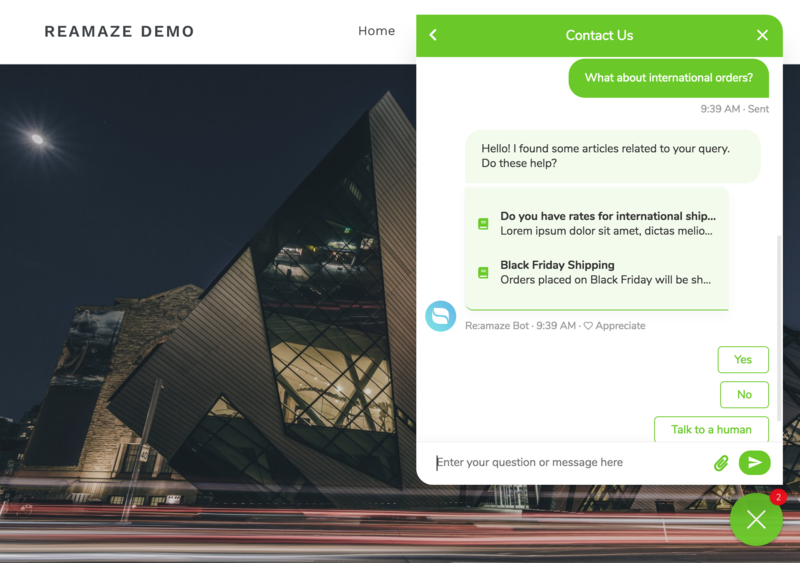 For example, when a customer asks a common shipping question, a chatbot can easily understand the context and provide an FAQ article explaining your shipping policies. If a customer wants to know how they can place an international order, a chatbot is uniquely suited to provide a quick answer to that. And even if a customer is asking how they can talk to a human, the chatbot can easily escalate the request to your support team. 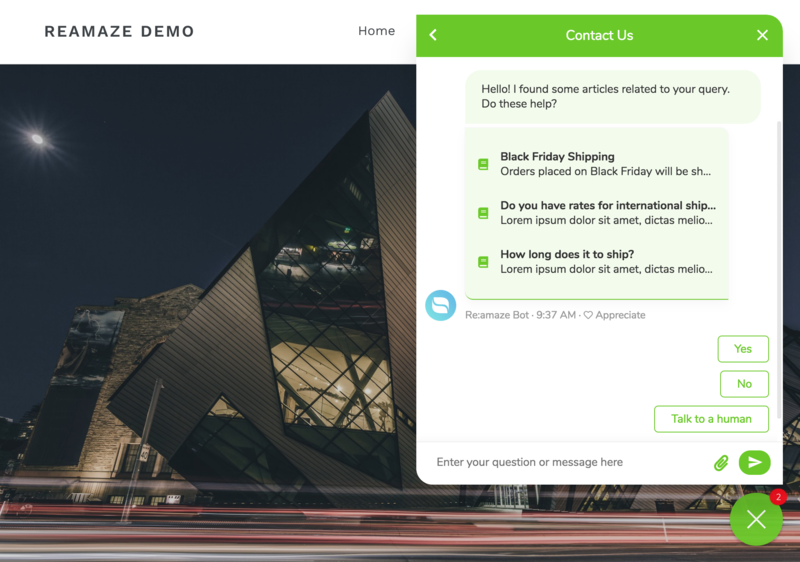 Hello Bot can automatically respond to customers when a short, non-descriptive, message is detected and ask customers to provide more details. 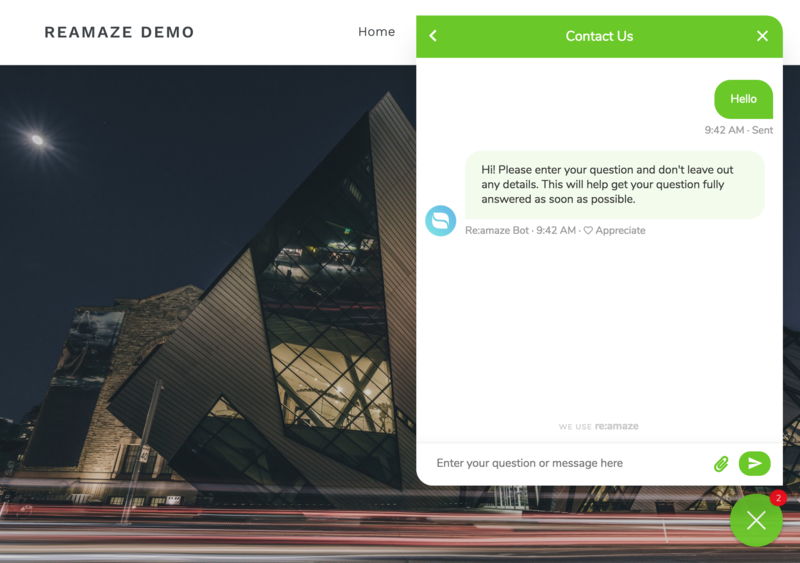 The Hello Bot is designed to handle the first response in asking for more details and can dramatically increase customer service efficiency. FAQ Bot can automatically suggest relevant FAQ articles based on the customer’s initial and follow-up inquiry. The FAQ Bot utilizes machine learning to surface articles that it feels would help customers the most. Over time, the FAQ Bot should learn from customer feedback in the form of simple “Yes” or “No” responses as to whether or not the suggestions were helpful. The FAQ Bot’s sole purpose is to extend the power and usability of your Re:amaze FAQ. By introducing well documented articles with important keywords and meta data, the FAQ Bot will be able to better help customers. 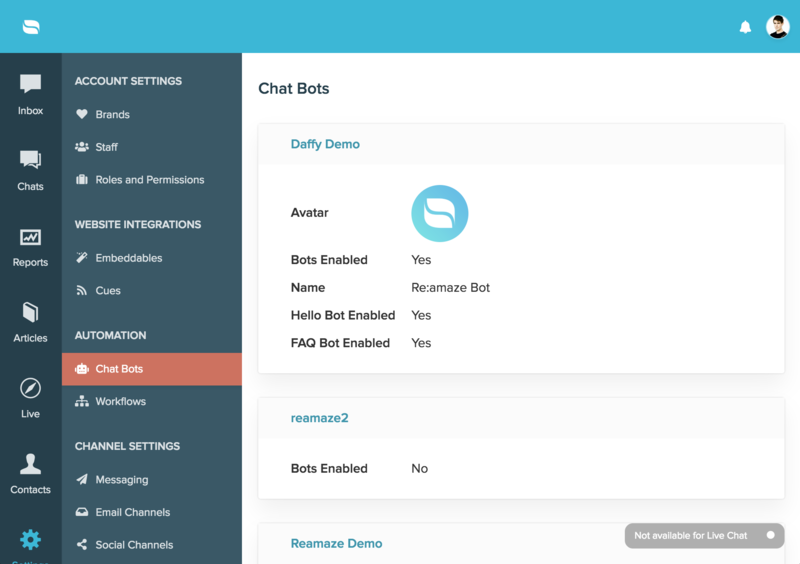 To enable the Hello Bot and FAQ Bot, go to Re:amaze "Settings" > "Chat Bots"